I think it was last year some time that Time magazine ran an article to the effect of “Exercise will make you fit but it won’t make you thin.” I remember someone asking me about this (it might have been my mom) and I wasn’t really sure what the issue was; I had written back in my first book The Ketogenic Diet about some of the realities of exercise and fat loss. Most of my other books have at least dealt with the issue to some degree. I suppose the issue isn’t really one of the realities of exercise and fat/weight loss but rather how the message was misinterpreted. Many have held up exercise as some sort of panacea for all things, health, fitness and of course what everyone is really interested in: losing weight/fat and I suspect the message got a bit garbled as it so often does: people figured that they could do a bit of easy exercise and the pounds would just melt right off. The realities, unfortunately, are often quite a bit different and in this series of articles (which I’ll hopefully keep to a mere two parts), I want to look at the possible ways that exercise might impact on one’s overall body recomposition goals. You’ll notice that I used the word ways plural in that sentence; while most focus on the direct role of exercise on fat loss (via direct calorie and/or fat burning) it turns out that there are more ways than just that for exercise to impact on things. For the most part, I’m going to sort of cluster all exercise in one big grouping for the sake of simplicity. Clearly resistance training and aerobic training aren’t the same and have differential effects; when needed I’ll make distinctions between them. It’s important to realize that most research on exercise and fat loss have used obese individuals (researchers by and large not being interested in lean folks trying to get leaner) and that has potentially other impacts on a lot of this. Again, as needed, I’ll make note of this. Today, since it will take the most verbiage, I’m only going to look at the primary way that exercise can (or can not) impact on body recomposition goals and that is in terms of its impact on total weight loss; that is the quantity of weight lost. I’ll note ahead of time that I am going to confusingly jump back and forth between fat and weight although they are not the same thing. This will make more sense in Part 2 when I attempt to cover all of the other ways that exercise may potentially impact on things. Most commonly, exercise is held up as a way of either directly causing weight/fat loss or for increasing the amount of weight/fat lost when added to a diet with the focus primarily on the direct effects of exercise on calorie/fat burning either during the exercise bout or afterwards. As noted above since it will take the longest, that’s the only issue I’m going to look at today. Basically, I’m going to give a reality check on the impact of realistic amounts of exercise in terms of its impact on body weight/body fat. It’s not a reality many are happy with. In previous articles as well as in my books, most recently in the Training the Obese Beginner series, I’ve made the comment that, generally speaking, the only people who can burn a tremendous number of calories during exercise are trained athletes; and they aren’t the ones that usually need it. That statement appears to have confused some people but the point I was trying to make is that the number of calories that can be burned with realistic amounts of exercise in beginners is usually fairly low. In my first book The Ketogenic Diet, I cited some paper or another indicating that most untrained folks can burn perhaps 5-10 cal/minute in exercise if you’re talking about sustainable intensities; this might hit 15 cal/minute but that would be for high intensity interval-type training. However, the duration of that activity tends to be exceedingly limited and the total average calorie burn for the activity will be lower due to the rest intervals. As well, this isn’t an intensity of training that can be done frequently. Even achieving 10 cal/minute would be fairly challenging for an relatively untrained/low-trained individual. Of course, as training status goes up, folks can burn proportionally more calories. A moderately trained individual might be able to burn 10 cal/minute fairly easily and hit 15 cal/minute for extended periods if they are willing to work a bit. 20 cal/minute might be achievable for short periods but, again, the total burned during activity would be balanced out by the low intensity nature of the rest intervals. As I discussed in Steady State vs. Intervals and EPOC: Practical Application, when I have compared interval sessions of varying types to steady state training with a Powermeter, the total caloric expenditure is usually about identical because of how the rest intervals affect the average intensity. The steady state sessions are far easier to complete and can be done more frequently as well. A very highly trained athlete might be able to burn 15 cal/minute as a matter of course, 20 cal/minute if they are willing to work and hit even higher values for high intensity training. Certainly these athletes sometimes need to drop fat (usually to improve power to weight ratio) and they have the advantage of being able to burn a tremendous number of calories with even low intensity activity. Simply tacking on an ‘easy’ 30-45 minutes to their normal training can burn a pretty large number of calories making fat loss relatively easy without much change in diet. But that last group is not who we are realistically talking about here. I’d note that the above values are for cardiovascular activities. People always ask about calorie burn during weight training and it’s harder to pin down values. It also depends staggeringly on the type of activities done (e.g. whole body vs. isolation exercises), rest intervals, rep ranges, etc. Clearly repetition clean and jerk will burn a lot more calories than barbell curls. On average, studies have found a calorie burn of 7-9 cal/minute seems to be about right (again with huge variability) but that only holds for the actual work time and a lot of time in the weight room is usually spent resting. When we have tracked calorie burn for various types of weight training (ranging from Olympic lifting to isolation machine work) with tools such as the Bodybugg/GoWearFit or Polar heart rate monitors, a calorie burn of 300-400 cal/hour is about the average. So with the above values in hand, let’s look at realistically what we might expect in terms of weight loss using the values for a typical untrained/low fitness level individual assuming a calorie burn of 5-10 cal/minute and various durations and frequencies. I’m going to compare 30 vs. 60 minutes and 3 vs. 6 days/week to estimate total caloric expenditure. And here’s where the confusing bit comes in, to put in this in real world terms I’m going to move from weight loss to fat loss with the assumed value of a 3500 calorie deficit to lose one pound of fat; of course this assumes that 100% fat is being lost which is not always a safe assumption. I’d note that total weight lost will be higher if a larger proportion of muscle is lost, an issue I discussed in The Energy Balance Equation. I want to note up front that there is a HUGE assumption built into the following calculations: that nothing else is changing. Not diet, not activity at other times during the day (some studies find that people compensate for exercise based energy expenditure by moving less later in the day), nothing. The only change we’re making here is by adding exercise to an otherwise static situation. For reasons far beyond the scope of what I want to talk about right now, this is not a good assumption. It simply makes the math easier. Frankly, the results are pretty dismal; you don’t even get to a one pound fat loss per week until you reach 6 days/week of an hour of fairly challenging exercise every day. Certainly the folks who think that brisk walking for 30 minutes a few times per week is going to have a major impact on much of anything without a complete overhaul in diet are incorrect; the impact is simply negligible. It’s also worth mentioning that the above caloric expenditure is actually somewhat of an overestimation since it includes the calories that would be burned by simply sitting around doing nothing. That is, if you did nothing during that hour, you’d burn perhaps 60-100 calories/hour or so depending on that activity. The above values include that resting expenditure so the actual impact on energy expenditure above and beyond normal are going to be slightly lower. But it’s fairly easy based on the above values (which again represent a massive number of assumptions in the first place) to see how many people have concluded that exercise is worthless for fat loss. And certainly a majority of studies (including most of the big meta-analyses) have reached that conclusion: compared to dieting alone, exercise tends to add very little to the quantity of weight lost. Even added to a diet, exercise tends to impact on the total weight loss marginally at most; the diet is doing most of the work in terms of the actual quantity of weight lost (here I’m switching back to talking just about weight). And this is simple mathematics, removing 1000 calories/day from the diet can be achieved with relatively more or less ease (depending on how bad the diet is to start with); the average beginner simply can’t burn that many calories with any realistic amount of exercise. At a low intensity and a calorie burn of 5 cal/min, that would require 200 minutes of activity per day, over 3 hours. At a challenging 10 cal/min, you’re looking at 100 minutes, an hour and forty minutes. This is simply beyond what most people can, are willing, or have time to do. This is also why I mentioned the huge assumption that diet is unchanging in the above estimations; another conclusion often reached is that exercise is worthless as the amount of calories that can be burned can be offset by even a small increase in food intake. An average bagel may contain 250 calories (or more if they are the big ones), you can overcome the deficit generated by the lower amounts of activity with a small increase in food intake. I’d mention that the only impact of exercise on weight/fat loss tends to be due to the deficit created; studies where the calories from activity are replaced by increasing food intake show no changes in anything. That is to say, if you compensate for the activity by eating more (an issue I’ll talk about later), nothing really happens. In this vein, most of the exercise and diet studies have used fairly low-moderate amounts of activity (in line with the above chart) and few have progressed anything over the course of the study, volume or intensity; most show neglible effects on much of anything (even the much vaunted interval studies only show maybe a 1-2 lbs fat loss over 12 weeks compared to steady state training). The latter is a problem to me since no good fitness program would be so static without some progression in frequency, duration, intensity or all three as folks got fitter and were able to handle more or harder training. As I mentioned in the Training the Obese Beginner series, one consequence of regular fitness training is an improvement in fitness, allowing folks to train at higher levels (both driving fitness higher as well as burning more calories). So while realistic amounts of exercise may not be able to play a major role initially in weight loss, over time it not only adds up (albeit in depressingly small amounts) but can end up contributing further down the road as fitness improves. That’s in addition to some other indirect ways that exercise may help that I’ll talk about shortly. Finally, there turns out to be a huge area where exercise has been shown to play a role that I’ll talk about when I wrap up the series. I’d note before moving on that some studies using fairly large amounts of activity (one that comes to mind had subjects cycle 2 hours/day 6 days/week) have shown a greater impact on weight and fat losses. But these amounts of activities are usually considered to be fairly unrealistic for most people. I’m simply making the point that for people who can do a lot of activity (one person on my forum actually got into the habit of doing 8 hours of low intensity cycling during the day believe it or not) there can be an impact. But the simple fact is that, for the average untrained individual, realistic amounts of activity are unlikely to have massive direct impacts on either body weight or body fat; the caloric expenditure simply isn’t significant enough to impact on anything. As well, changes in diet have the potential to make a much greater contribution to the creation of a caloric deficit; removing 500 or even 1000 calories per day from the diet can usually be achieved much more readily than adding the same amount of activity. At least in certain populations. 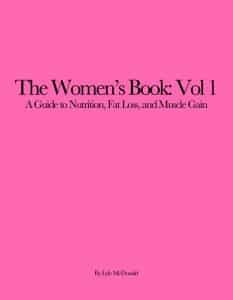 But as noted in the introduction, there are several other ways that exercise can positively impact on weight/fat loss goals. Those will be the topic of Part 2 on Friday.